I've built a couple of Tbucket styled cars. 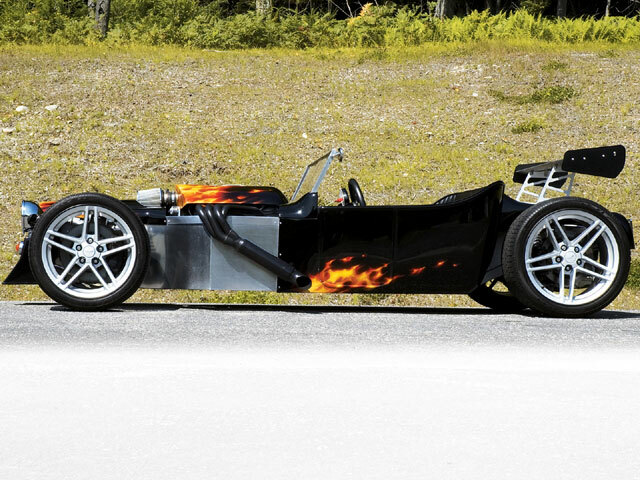 The Black Flamed one has a an aluminum tub to which C5 Vette suspension cradles bolt into. It uses an LS6 with a shortened torque tube and 6speed manual trans axle. The second picture is of my C4 Vette based car in construction progress. I built the space frame that the C4 suspension bolts into. 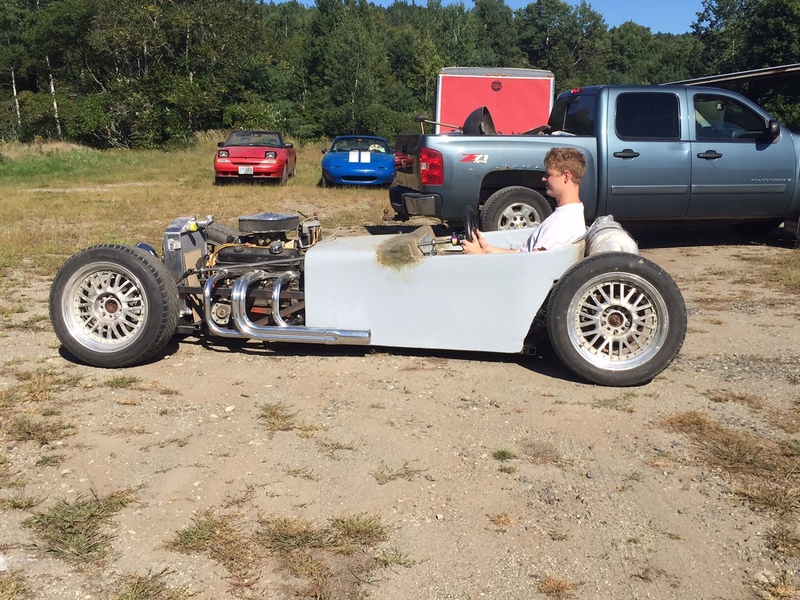 SBC combined with a Richmond 4speed. I put foam over the frame and then shaped it. Then fiberglassed over it.